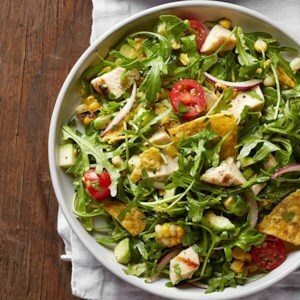 Find healthy, delicious Mexican chicken recipes, from the food and nutrition experts at EatingWell. 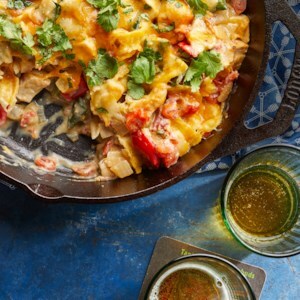 Usually made by layering creamy chicken and tortillas (lasagna-style), this classic Tex-Mex chicken casserole gets speedier for an easy weeknight dinner when we mix everything together in a skillet, then pop the whole pan under the broiler to make the cheese topping gooey. 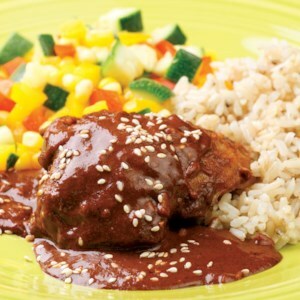 This rich, velvety mole sauce recipe gets flavor from spices, chocolate, dried chiles and nuts. To make it at home, you'll need a blender and a fine-mesh strainer. Find the dried chiles and Mexican cinnamon, also known as true cinnamon, online and at Mexican grocers. Be careful not to burn the chiles or raisins when frying or the sauce will taste bitter. Use any leftover sauce and chicken for enchiladas the next day. 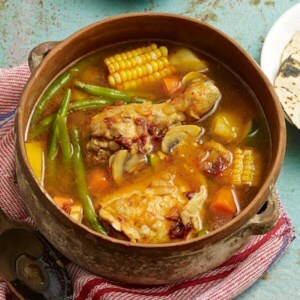 Chipotle-laced broth and thick chunks of corn on the cob are featured in this healthy, smoky chicken soup recipe. The secret to the great flavor is cooking the vegetables in the broth that's made from cooking the chicken. Serve the soup with warm corn tortillas. 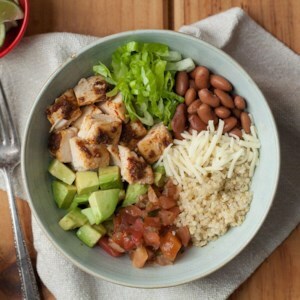 This chipotle-flavored burrito bowl recipe is even better than takeout and just as fast. 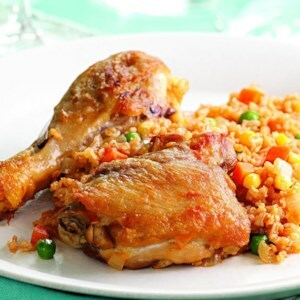 Loading it with vegetables and using quinoa in place of rice adds nutrition for a healthy dinner. This chicken taco bowl recipe uses the underside of a muffin tin as a mold to bake cute little homemade “tortilla bowls.” The “tortilla bowls” are filled with a zesty chicken filling and topped like nachos. If you have 2 large muffin tins, you can make all 8 “bowls” at once. Bake them in the upper and lower thirds of the oven, rotating top to bottom about halfway through baking. A quick fresh-made blender enchilada sauce makes all the difference in this slow-cooker recipe for Mexican cheese dip. 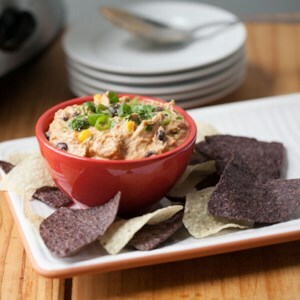 Serve it straight from the crock pot, with tortilla chips, to keep it warm and gooey. In this chicken taco bowl recipe we use the underside of a muffin tin as a mold to bake cute little taco bowls. 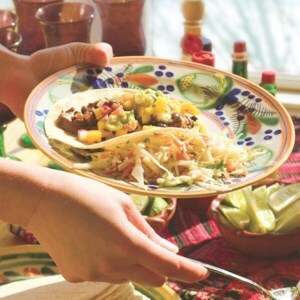 Then we fill them up with a zesty chicken filling and taco fixings. 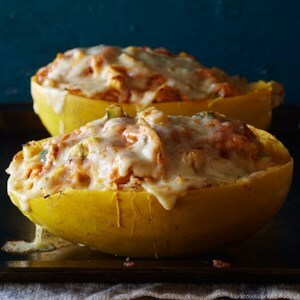 This healthy 5-ingredient spaghetti squash recipe is a satisfying low-carb alternative to taco night. If you have leftover cooked chicken on hand, skip Step 2 and stir 2 1/2 cups into the filling. 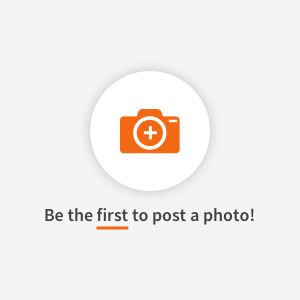 Look for an enchilada sauce with less than 300 mg of sodium per serving, such as Hatch brand. Stuff all the flavors of fried jalapeño poppers into a creamy filling for stuffed chicken breasts. 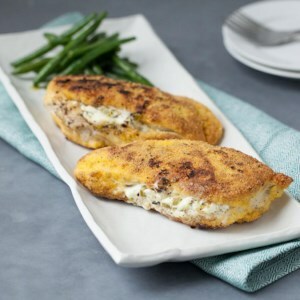 This healthy baked chicken recipe is great with a side of green beans for an easy dinner. 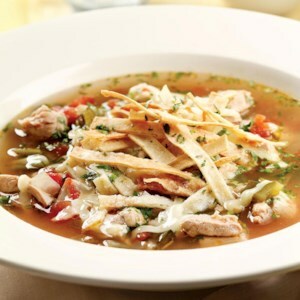 Here's a version of chicken tortilla soup that's both super-easy and delicious. 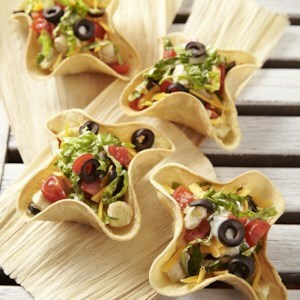 To make it even quicker, use crumbled baked tortilla chips in place of the homemade tortilla strips and skip Steps 1-2. Serve with vinegary coleslaw, lime wedges and hot sauce. 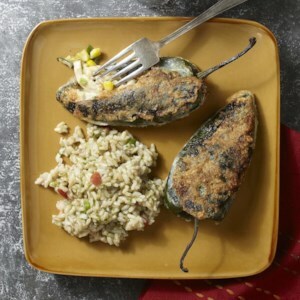 These pan-fried chiles rellenos are stuffed with a skinny chicken-and-corn filling. 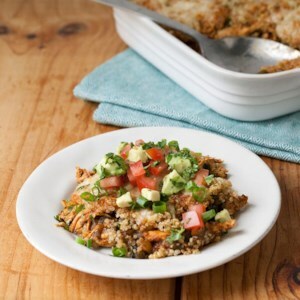 Serve with salsa or your favorite enchilada sauce. 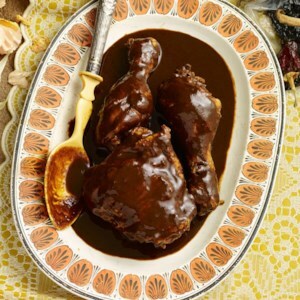 Rich, dark and delicious, mole is a signature sauce in Mexican cooking. There are many variations, but the basic ingredients include plenty of chiles and nuts along with a touch of chocolate to tame the heat of the chiles. Traditional recipes can take several hours to prepare--this quick version takes a few shortcuts by using chili powder, nut butter and chocolate chips. Serve with rice and a medley of sautéed zucchini, pepper and onion. Tangy, mildly spicy and tender, this chicken is delicious with black beans and salsa. It makes a great option for a taco party. 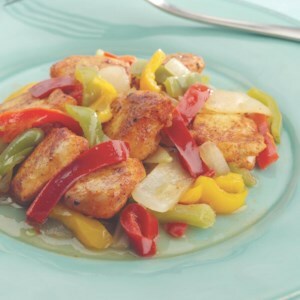 A bag of frozen peppers and onions can be a quick start to a stir-fry; here, it's combined with almost fat-free chicken tenders for a speedy dinner. Serve this dish with warm polenta rounds or brown rice. 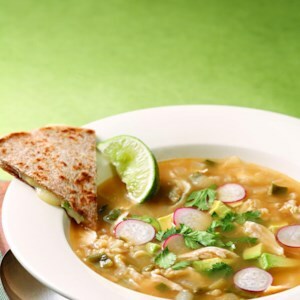 Although there are many variations of this Mexican chicken soup, spicy chipotle chiles are always part of the broth. Make it a meal: Serve with a Mexican beer and cheese quesadillas. Making soups may have once been an all-day affair, but here's a great example of how a few choice convenience products can renovate an old favorite for our modern, hectic lives. Some frozen vegetables, a few canned tomatoes and canned broth--and voila! a Tex-Mex favorite in minutes.